Please read carefully the following terms & conditions as they set out the basis upon which you can visit and use the durakitworkwear.com website (“site”). This site is owned and operated by Durakit (“we”, “us”). Registered office: PricewaterhouseCoopers LLP, Princess Court, 23 Princess St, Plymouth PL1 2 EJ. VAT no. – GB 865 6595 68. All rights, including copyright, in this website are owned by or licensed to Durakit. Any use of this website or its contents, including copying or storing it, in part or in whole, other than for your own personal, non-commercial use is prohibited without the prior permission of Durakit. You may not modify, adapt, alter, distribute or create derivative works of the site, in whole or in part. The site may provide links to third parties that we believe may be of interest to you. We do not control nor vet these websites, and therefore we cannot accept any liability in respect of either the contents or your use of these websites. 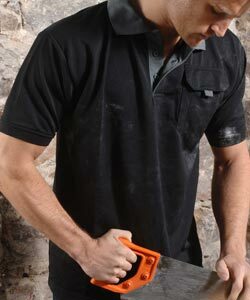 We have taken all possible precautions to ensure that the information provided within this site is accurate, in particular that prices shown are correct at the time of publishing and that all workwear has been fairly described. All prices quoted are exclusive of delivery charges. Whilst all possible effort has been taken to display garment colours accurately, we cannot guarantee that your monitor’s display will accurately reflect this. Nothing in these terms and conditions shall exclude or limit liability in relation to any damages arising from death or personal injury caused by the negligence of Durakit. However, in all other circumstances we will not accept liability for any loss or damage of any kind suffered as a result of using this site, including use of the information provided within this site. We make all possible effort to ensure that this website is free from viruses and defects. However, we cannot guarantee that use of this website or of any websites accessed through it, will not damage your computer. We shall not be liable for any loss or damage deemed to be a result of using this website. It is your responsibility that you ensure that all information with regards to your account is kept confidential. We shall not accept responsibility for any loss or damage as a result of you not keeping all such information confidential. If you have supplied us with your e-mail address, we will notify you by e-mail as soon as possible to confirm receipt of your order. At this point the contract for the sale of the goods shall be formed at the place from which the acceptance e-mail is sent. If however you have not supplied us with an e-mail address, our confirmation of order page at the end of the ordering process shall act as confirmation of acceptance of the order. No contract will be formed until you receive confirmation from us that we have accepted your order. We will endeavour to meet any date stated for delivery. We will not be liable for any losses, costs, damages or expenses incurred by you or any third party arising directly or indirectly out of any failure to meet any estimated delivery date. As a UK based website we endeavour to ensure that all personal information provided is handled in accordance to the 1998 UK Data Protection Act and use technology that protects your information (including credit card details) from unauthorised use or access. We will not sell, distribute or disclose any information we hold on you to any third parties unless you have provided your consent or are required or permitted to do so by the law. We reserve the right to suspend the site at any time to perform essential maintenance, change details and to remove any inaccurate or unauthorised material, and also to terminate your use of the site of you breach any of these terms and conditions. We reserve the right to change these terms and conditions and we advise that you read through them each time that you use the site. This website, its content and any contracts arisen out of it are governed by and in accordance with English law. All contracts are conducted in English and by entering into a contract both parties agree to submit to the sole jurisdiction of the courts of England and Wales. You can either browse through the shopping section which is divided into categories or enter a keyword or product code into the search which will bring up the item(s) you are after. When you have found something you like, choose the size/colour that you want, then click ‘add to basket’. To see your purchases at any time click ‘View Basket’. When you are happy with the items in your kit click ‘checkout’. Then simply follow the instructions to complete your purchase. Your transaction will take place in a secure environment. A confirmation email will be sent to you once the order has been completed. We accept online payment in a completely secure environment using all major credit cards. Prices include 15% VAT. Please note safety footwear (boots & trainers) are V.A.T. exempt. Our online shop uses the very latest encryption technology (SSL) to ensure that your transactions with us are private and protected. When you go to buy something, your web browser makes a connection to the secure section of our website. You will see a padlock in the bottom right corner to indicate that it has made a secure connection and depending on your browser a window may pop-up to notify you that you are entering this safe area. We will endeavour to deliver your goods within 1 working day of receipt of your order. A signature is required upon delivery so please provide an address where someone can sign for the goods. 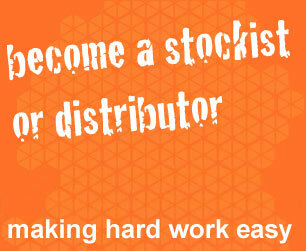 Should we send your order in more than one dispatch due to stock availability there is still only one delivery charge. Please note that orders placed after 3pm on Friday will not be processed until the following Monday. If you are in any way unhappy with your Durakit purchases you may send them back for an exchange or full refund. However please note that in order to keep Durakit affordable we do not include free returns. Postage to cover the cost of returning goods for exchange is down to you. We will happily refund your postage if the goods are found to be faulty Please return your purchase to us (unworn and in the original condition you received them from us with all packaging, labels and hang tags intact) within 14 days of receipt. We strongly recommend that you ask for a proof of posting certificate from the Post Office to prevent your kit getting mislaid in the post, as we cannot be held responsible for goods lost in transit to us. Your statutory rights are not affected by these statements. Please tell us why you are returning your Durakit , this ensures that we can improve our service and kit in the future. If you require an alternative item please make sure to specify which colour and size you would like. Refunds can only be credited back to the original card that the goods were bought with. Please note we charge £5.95 for delivering exchange items. CUSTOMER SERVICES 01752 395 065 | © Durakit 2019. All Rights Reserved.